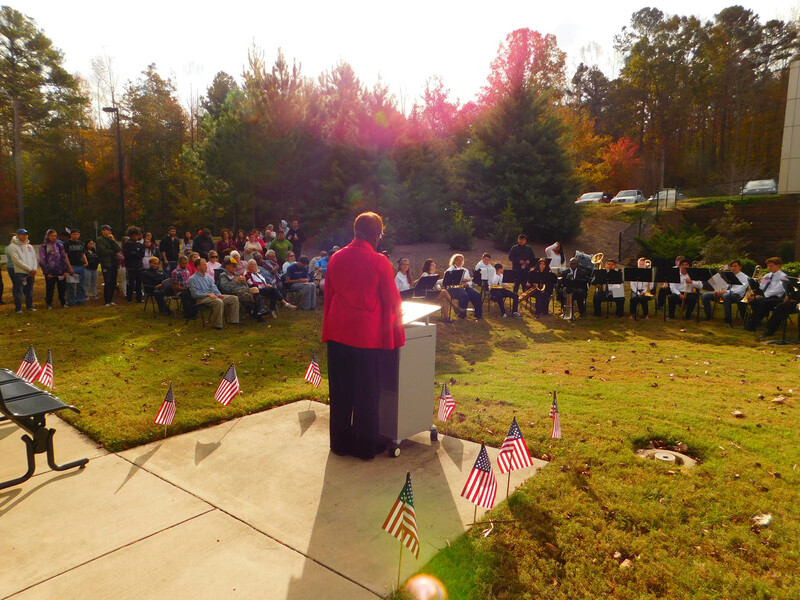 SILER CITY - "Gratitude to Veterans, Today & Every Day" was the theme of the Veterans Day program on Thursday, Nov. 1, at the Central Carolina Community College Siler City Center. This event began at 10 a.m. and included student presentations. Also, Tammie Quick, CCCC College & Career Readiness-Chatham Coordinator, was recognized for her military service. 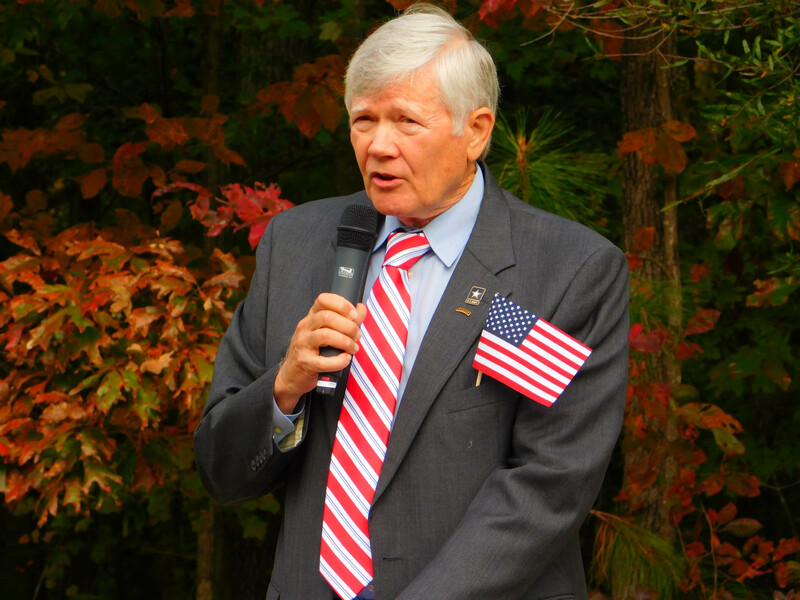 Featured speaker was Jay Stobbs, retired Army veteran from Chatham County. Stobbs, a West Point graduate, served as a commander in the Army Corps of Engineers and as a Physics teacher at the U.S. Military Academy. Stobbs pointed out that there have been many examples of what veterans have done and the sacrifices and hardships they have endured. "We are fortunate today to be able to recognize and honor Veterans Day with special programs," he said. Stobbs quoted the late General John D. Eisenhower, who once said, "Let us solemnly remember the sacrifices of all those who fought so valiantly, on the seas, in the air, and on foreign shores, to preserve our heritage of freedom, and let us re-consecrate ourselves to the task of promoting an enduring peace so that their efforts shall not have been in vain." In closing, he said, "God bless our nations' past veterans and their families. God bless our current and future veterans and all patriots as they continue our tradition of defending our country and our freedom. God Bless America!" 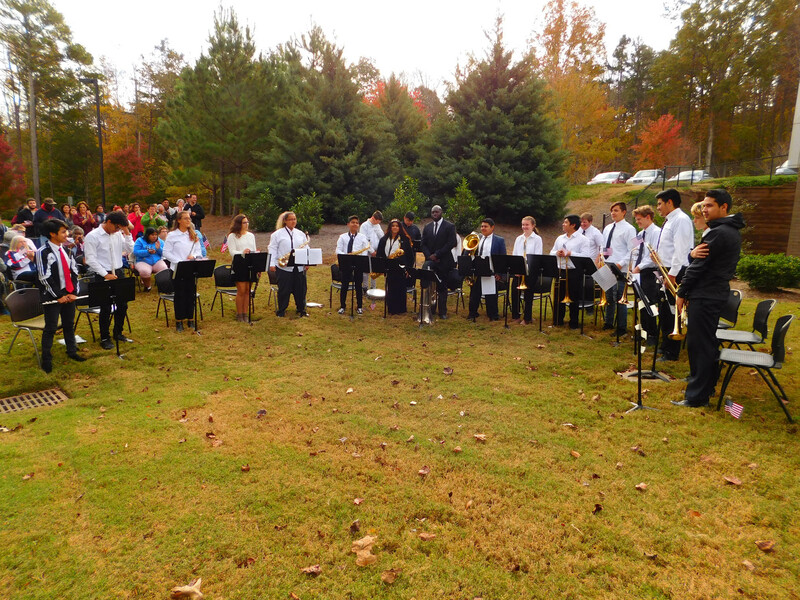 The event included patriotic music by the Jordan-Matthews High School Band under the direction of Justin Harper. For more information on CCCC's College & Career Readiness programs, visit the website www.cccc.edu/ecd.